Video: JB Pritzker tells voters about his platform. Learn more about Candidate Free Time. It will take years to clean up Bruce Rauner’s mess in Illinois. Rauner’s fiscal mismanagement and manufactured two-year budget crisis blocked critical investments in education, human services, and economic development, especially in some of our most economically challenged communities. But our financial challenges won’t prevent us from making progress and creating good-paying jobs, expanding healthcare for Illinois families, and guaranteeing every child gets a good education. To create jobs throughout Illinois, the governor must stand up for all of our communities. Small businesses are the largest job creators in Illinois and I will work to support these businesses and entrepreneurs across the state by giving them the attention and resources they need to thrive. My jobs plan includes providing greater access to capital, training, and mentorship for entrepreneurs building small and startup businesses. My plan also focuses on rebuilding our infrastructure, nurturing our agricultural economy, rejuvenating higher education, and jumpstarting manufacturing across the state. Illinois has the most educated, dedicated workforce in the nation, and with the right leadership we can take advantage of the incredible potential and opportunity in our state, tackle the financial challenges we face, and grow the economy to benefit all Illinoisans. We must also expand healthcare for working families in Illinois to ensure everyone gets quality, affordable care. My plan, IllinoisCares, is an innovative policy proposal that would allow every Illinois resident to get a lower-cost state sponsored health insurance policy. With it, we would follow the example of President Obama’s public option and begin the process of moving toward universal healthcare coverage. Finally, we must ensure that our education system gives every child in Illinois the chance to succeed, no matter their zip code. As governor, I will expand early childhood education for every child in Illinois, ensure equitable funding for our public schools through a fair tax, and stabilize funding for our community colleges and universities while making them more affordable. The most important issue facing Illinois is the failure to address the state’s poor fiscal condition, which has been exacerbated under Bruce Rauner’s manufactured two-year budget crisis. It’s the constitutional obligation of the governor to propose a balanced budget to the legislature, but in four years, Bruce Rauner hasn’t met that obligation even once. Rauner’s budget crisis blocked critical investments in education, human services, and economic development, especially in our most economically challenged communities. As a result, agencies were shuttered, jobs were destroyed, college students left the state, and lives were threatened or lost. It also brought Illinois to the brink of financial collapse, dragging the state to near junk bond status and tripling our bill backlog. To address these challenges, I’ll work with the legislature and stakeholders to pass a balanced, forward thinking budget that prioritizes job creation, expanding healthcare coverage, and quality, equitable public education so that every Illinois family has the tools they need to build better lives. 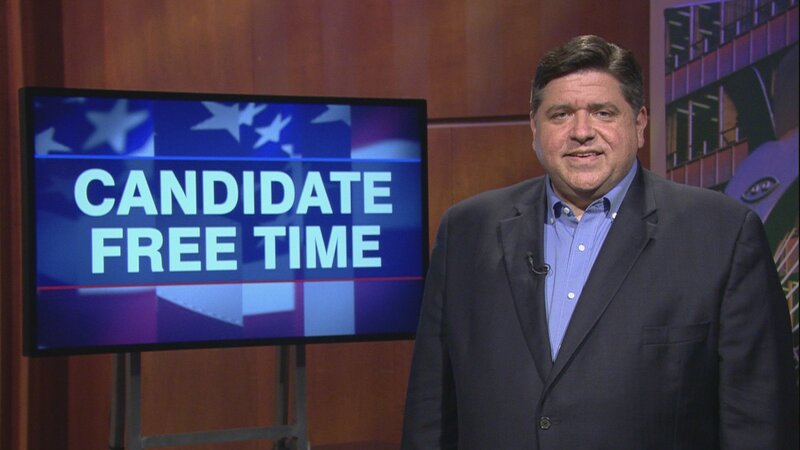 My name is JB Pritzker and I’m running for governor of Illinois because we need a change. We face big challenges, and under Bruce Rauner things have only gotten worse. This governor refused to compromise and forced our state to go over two years without a budget. His crisis left us with $16 billion in unpaid bills and wasted over $1 billion of your money on late payment fees alone. Our schools were left without the resources they need to educate our students, businesses and jobs left our state, communities that could least afford it paid the price. Bruce Rauner is a failure and four years of failure is enough. Unlike Bruce Rauner, I’m ready to cut through the dysfunction and gridlock and bring fiscal sanity back to our state. I’ll propose a balanced budget that lowers taxes on the middle class and asks millionaires and billionaires to pay more to get our state back on track. I’m running on real plans to create jobs, expand healthcare, legalize marijuana, fight for a woman’s right to choose, and invest in a quality education for every child in this state. And when Donald Trump tries to cut healthcare or attack our communities, I won’t stand on the sidelines like Bruce Rauner. I’ll make it clear that his hate has no place in Illinois. I’ve spent my life fighting to get big things done for Illinois’ families and I’m ready to fight for you in Springfield. I hope you’ll join me. Thank you.